More and more as of late, I feel the need to prioritize collaborating on styled shoots. The ones that are designed to encourage the people participating in them to spend some time together to play, try new things, and generally just have fun with what they do. This isn’t always easy during wedding season, but I’m happy to share this super fun one from a shoot in Edmonton. In this profession the same team (more or less) works together regularly. 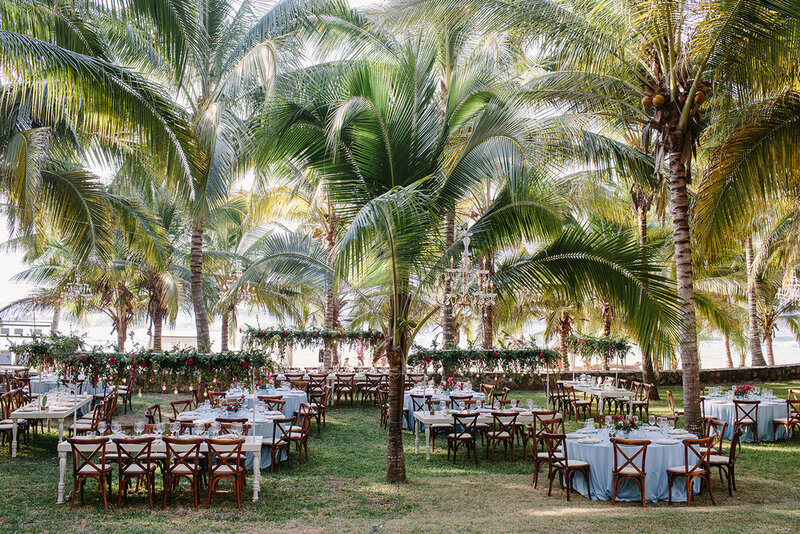 Among the weddings, engagement sessions, family sessions, and special events, our clients have a specific look in mind, and we don’t always find the time to stretch our creativity on personal projects. 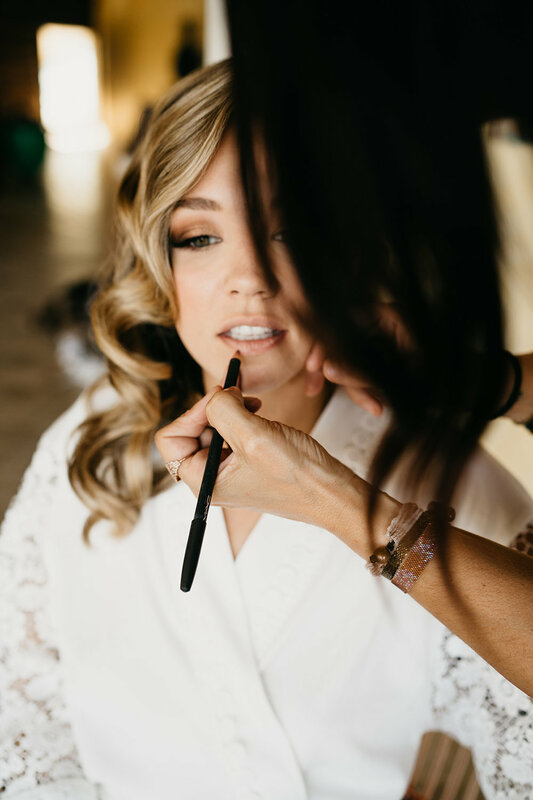 The beauty of styled shoots is that they give us an opportunity not only to find new inspiration for ourselves, but to inspire others, and most importantly, to come back to our clients with renewed energy and creativity! 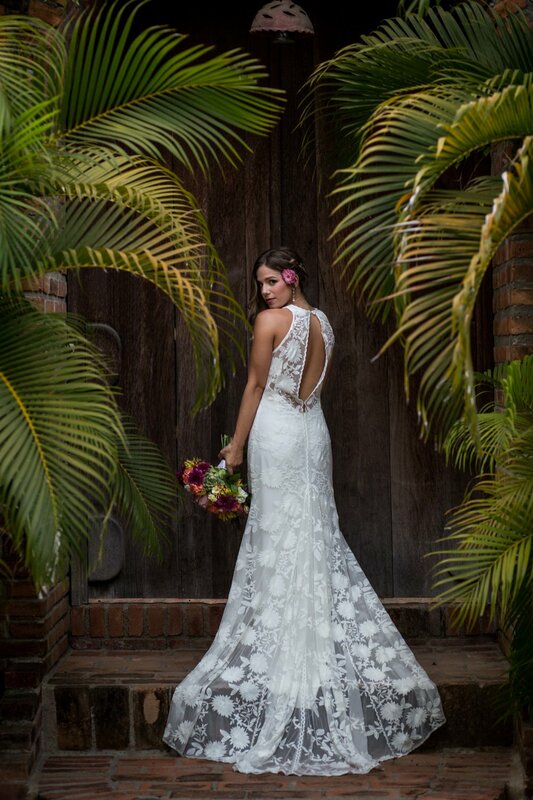 The objective of this shoot was to inspire women to show their own unique style, while incorporating traditional wedding aspects. 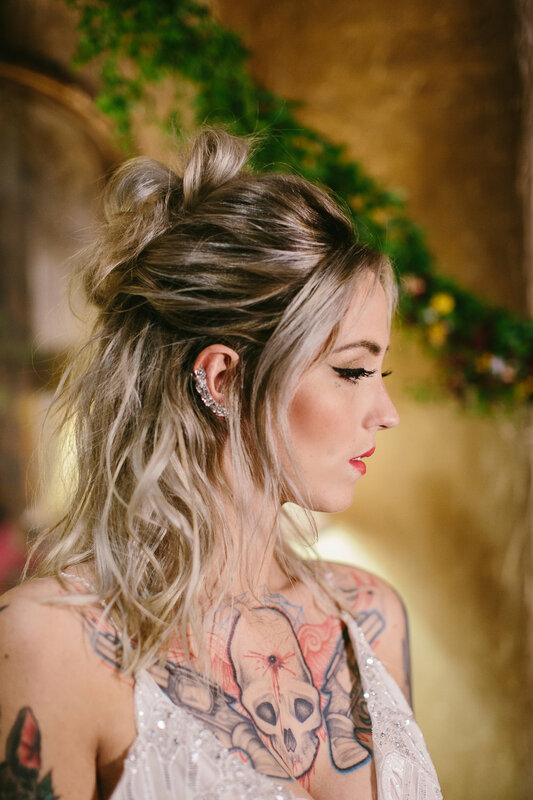 We wanted to focus on a more edgy look and of course, those awesome tattoos and show that every woman can be a blushing bride, no matter their personal style. 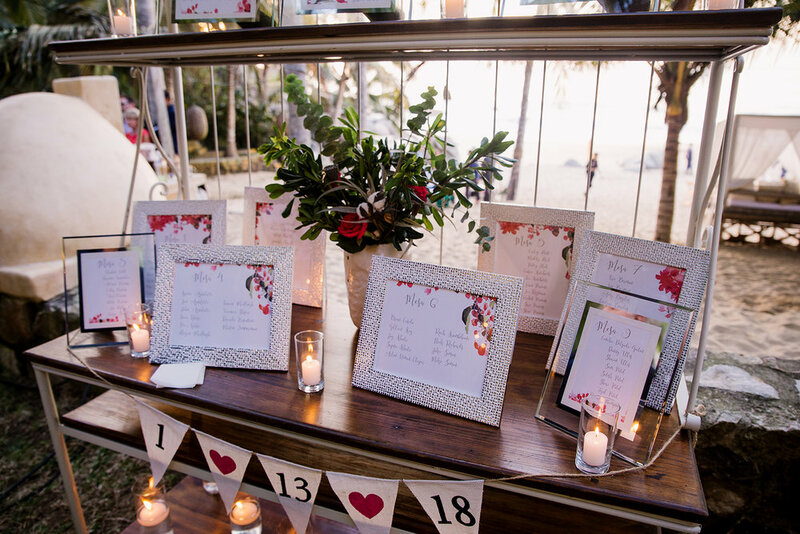 Now more than ever, couples choose to introduce elements into their events to better reflect who they are and their story. No two couples are the same, and those little details outside of the norm are ALWAYS my favorite. We had such a blast doing this shoot, working with such talented artists is so inspiring. We don't always find much time to exchange while working as we are so focused on our clients and our role in their event. These creative sessions bring us closer together, give us greater insight on each other's professional processes (which can be super helpful!) and remind us how important it is to know who we are referring our clients to. Without a doubt, all the babes involved in this shoot are AMAZING! You wouldn't regret working with one or all of them. A huge thank you to everyone who participated for their creative brilliance, and for always inspiring me to push a bit harder! 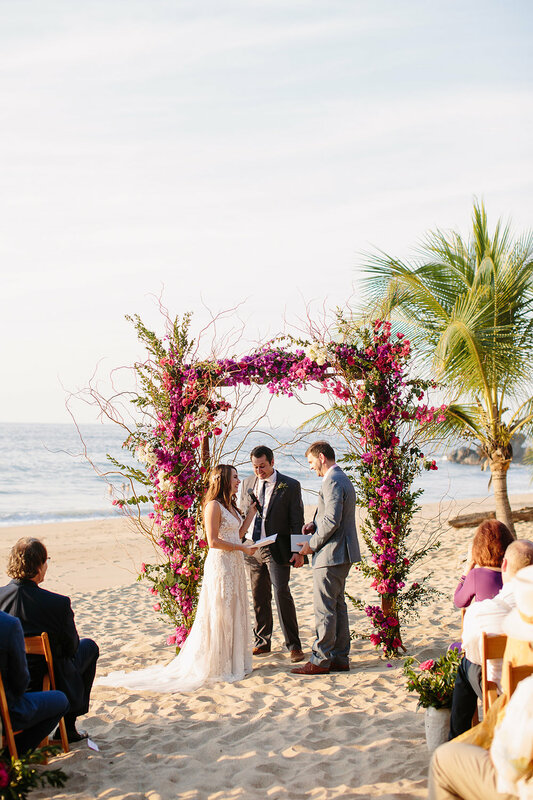 Here comes the Sayulita Bridal dream team! Well hello there! Surprise surprise...a blog post! I know, it's not my strong suit...I just like to save them for really great things, and today I have something great to share! 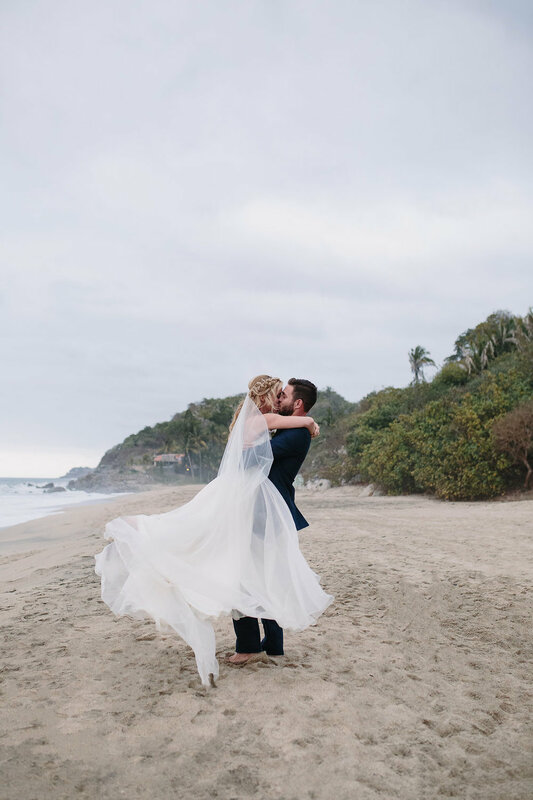 My Sayulita wedding season has wound down, and I can't even begin to tell you all what a great season it was! Wow-sending the BIGGEST thanks to the most amazing clients, venues and colleagues for making this the best season. EVER. I look forward to what next year brings, and am excited to share a new development!! 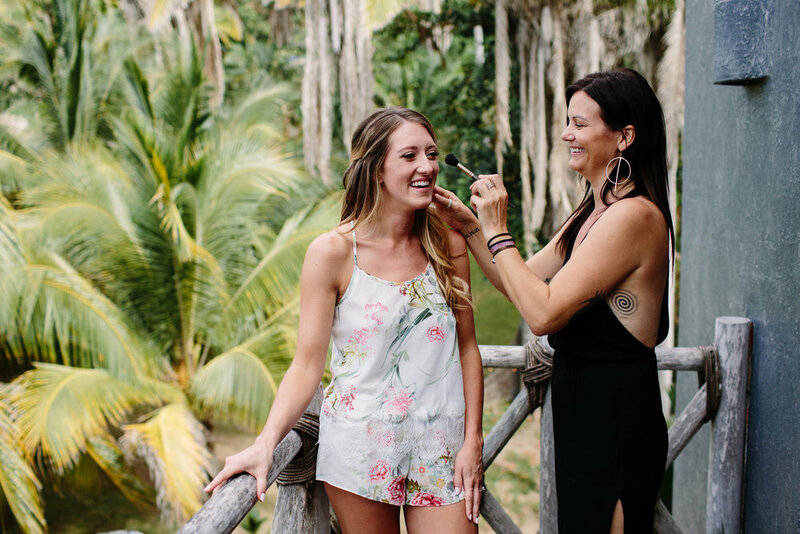 In preparing for next season's beautiful babes, my lovely amiga Justine will not only be working as a second artist on larger weddings, but offering Bridal Hair and Makeup services too! Some people may already know her as my regular second artist for over a decade in both Canada and Mexico, but that's all changing this year-no longer a second, now an Associate!!! We are both super excited to be able to accommodate more lovely ladies on their big days! 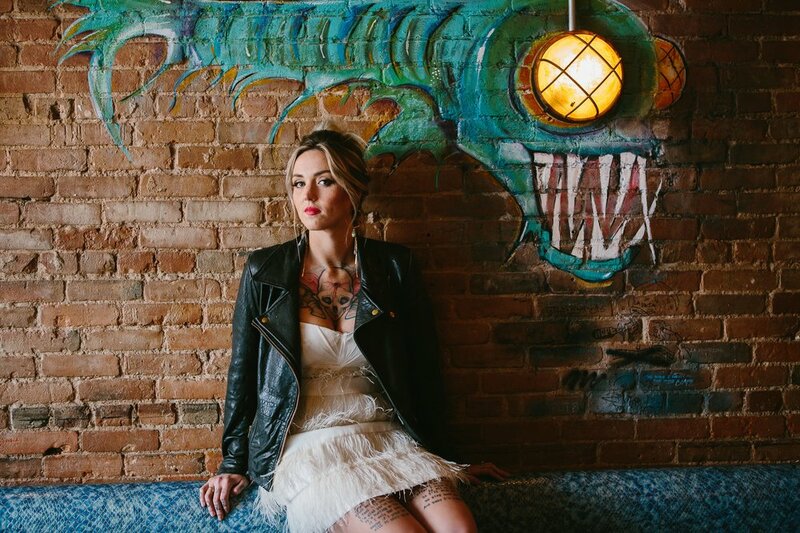 To celebrate this, we joined one of my favorite Edmonton and Destination photographers (yes, she travels too, but only accepts a limited amount of Destination weddings) to doll each other up, and freshen up our head shots. I can't even begin to tell you how much fun we had(which is par for the course for us). Justine and I both love to laugh, and can't help but giggle when we are around each other. We see the lighter side of life in most things...even when we are trying to be serious, and Jill captured the mood perfectly! People, this is the first time I have had my makeup and hair professionally done in YEARS. Thanks so much Justine for making me look so darn good, I'm totally in Love with these images!!! For those of you wondering about Justine, and how this new addition may help you, here we go! We met 15 years ago at the salon we both started our careers in. 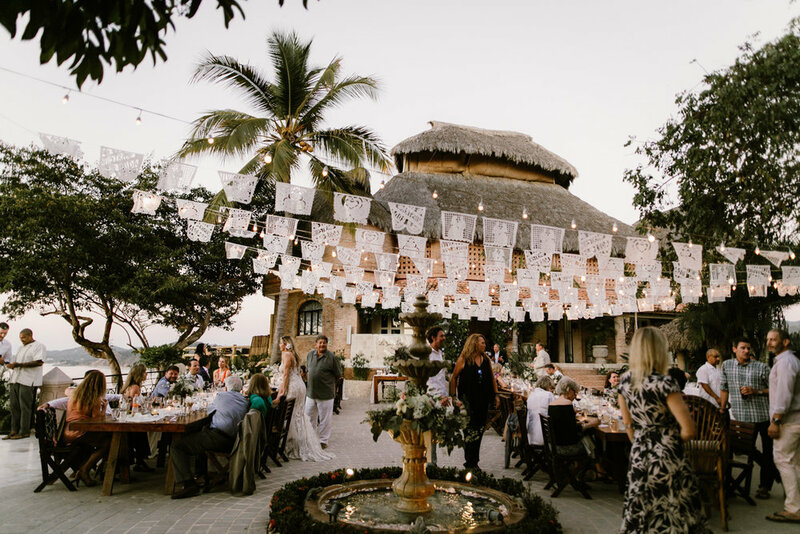 As with many things in life, if you asked us then where we saw ourselves in 15 years, it likely wouldn't have entailed being in Mexico preparing women from all over the world for the day of their dreams, working alongside one another, sharing a lot of laughter, the odd tequila, and always FOOD! But seriously...how could we ever have imagined THAT? It's kind of a dream come true...but a bit more like the achievement of something really great through a ton of hard work, determination, and hustle. While that first salon didn’t work out for either of us, I am forever grateful for it. It was a spring board for us, and the beginning of not only a great friendship, but an outstanding working relationship. After leaving the salon, I began freelancing, and Justine moved on to open and operate her first salon at the age 23(wow! ), which she sold and moved on to open the current salon she co-owns with 2 super cool women who hold down the fort when she travels for work. She continues to further her cutting, coloring, editorial styling and hair/makeup training with travel to Europe and NY, as well as one on one training with selected mentors locally. Not long after I started freelancing, it became obvious that I would need help sometimes, so naturally, I asked if she was interested in working with me-that was 11 years ago, and the rest is history! I couldn’t ask for a better gal to work alongside-she’s the ying to my yang, the peanut butter to my jam, and all those other cool things! 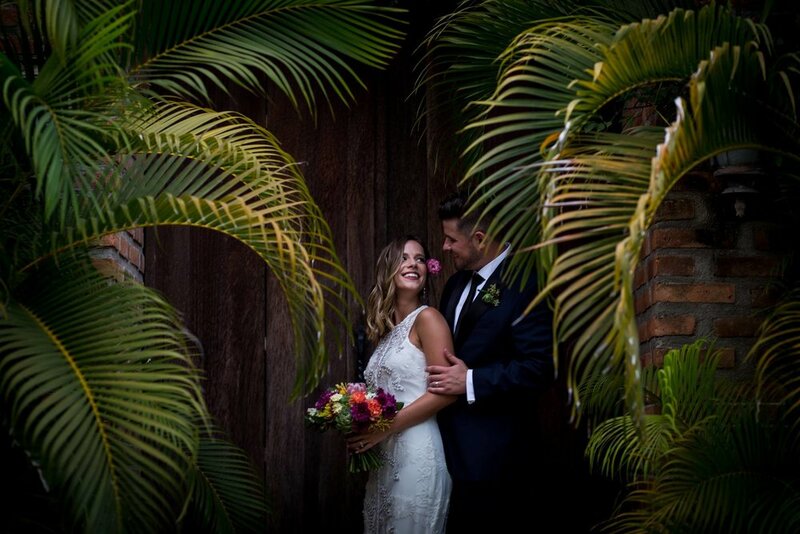 She brings a super relaxed vibe, positive energy, a genuine interest in other people, and her drive to ensure our clients look and feel their best for these big moments ensures I KNOW beyond a shadow of a doubt that any client she is charged with will always meet the standard I have set for myself and my clients. When we work together, it’s pretty much guaranteed to be fun, funny, and our clients are sure to walk away on schedule, feeling like the queens they are! I trust her with pretty much anything and everything-she is the mom to a sweet 15 year old son(we have mom club together haha…which really means wine club) has an infectious laugh, an open heart, and LOVES food(who doesn’t??) 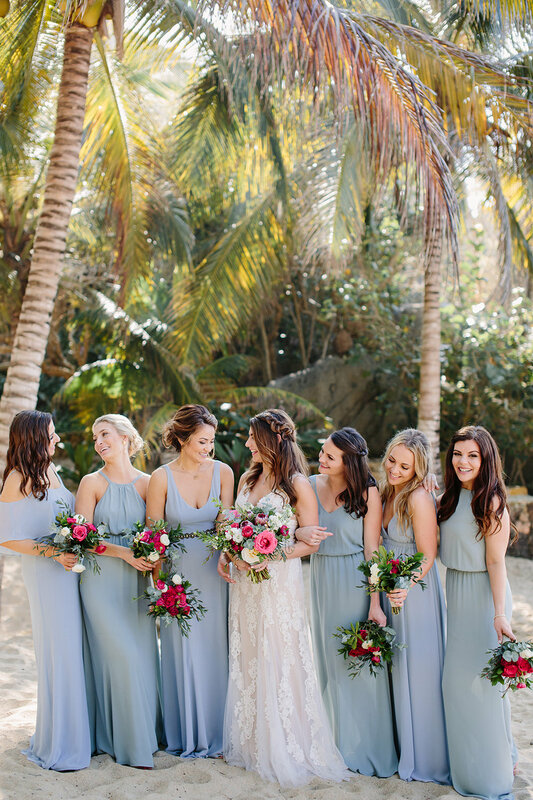 Naturally, with a gal like that by your side in Canada, it’s a natural fit to have her work her magic in Mexico as well so I can rest easy knowing each and every client has the same attention I would expect for them if I were doing their services!! We are both super excited for this, and although it means we won't always be able to work side by side, we will always have the post workday sunset, tequila and snack to enjoy together! 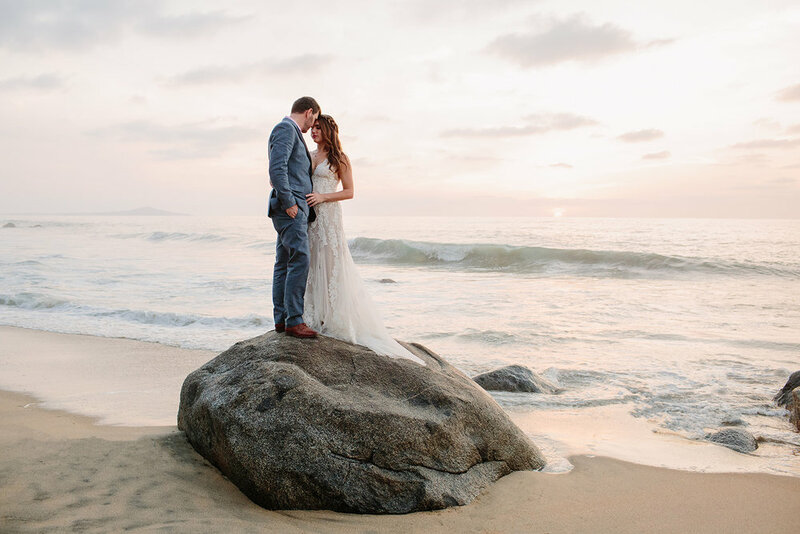 If you would like more information on the services we will be providing, pricing, or to check availability on the remaining 2018/19 wedding dates, please email me at jenn@jennchivers.com! 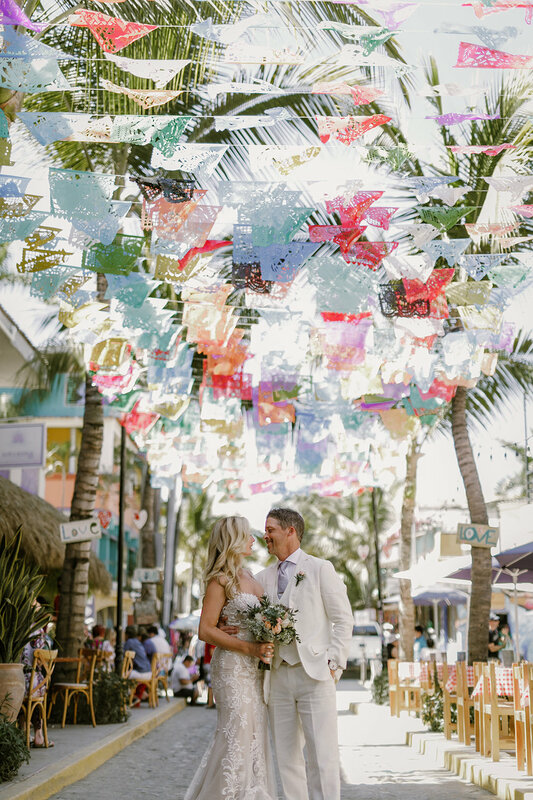 Caroline and John's Sayulita wedding day was an intimate event filled with love. 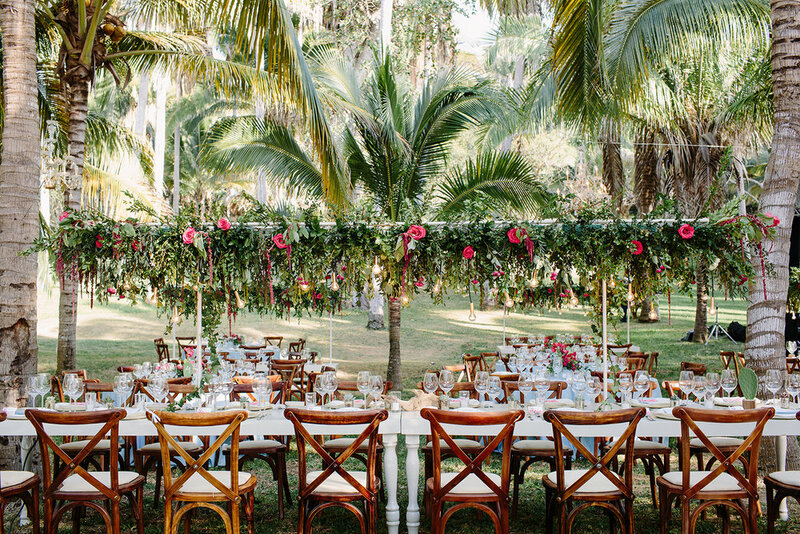 Her vision was for a simple, bohemian feel to the day, filled with beautiful details and the feeling of dreamy romance throughout. Pretty sure she nailed it. 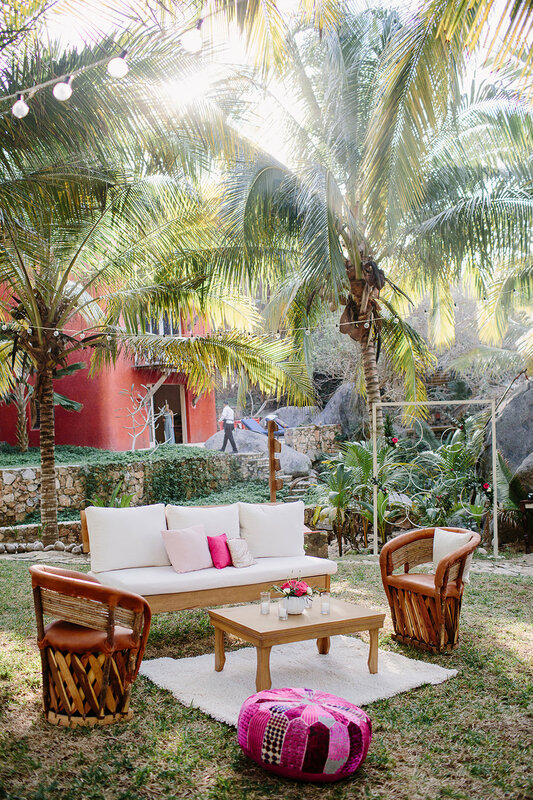 One of my favorite feisty Mexicana's, Yazmin from Sea of Dreams Weddings designed gorgeous and comfortable spaces for Caroline and John, along with their family and friends, to lounge, eat, dance, and enjoy the day to the fullest. 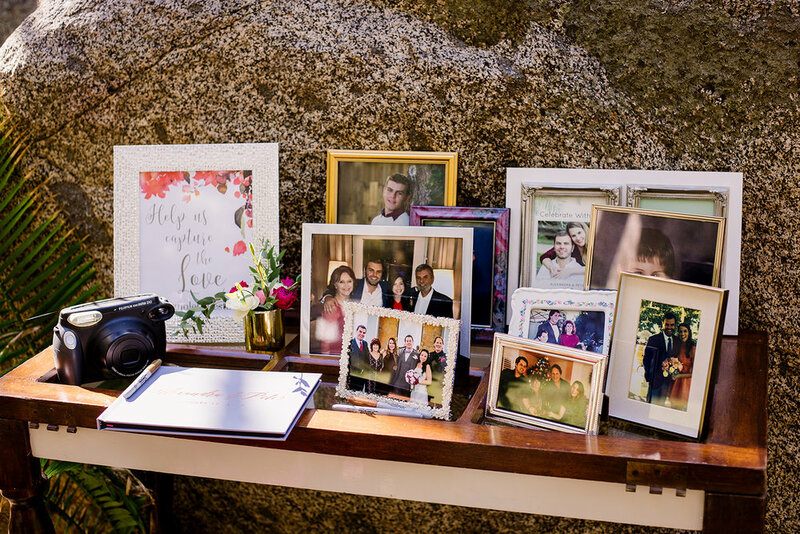 I was pretty much in awe of every detail of this day, and of course, Caroline had a dream team to help bring everything together so she could relax and enjoy every minute of it! 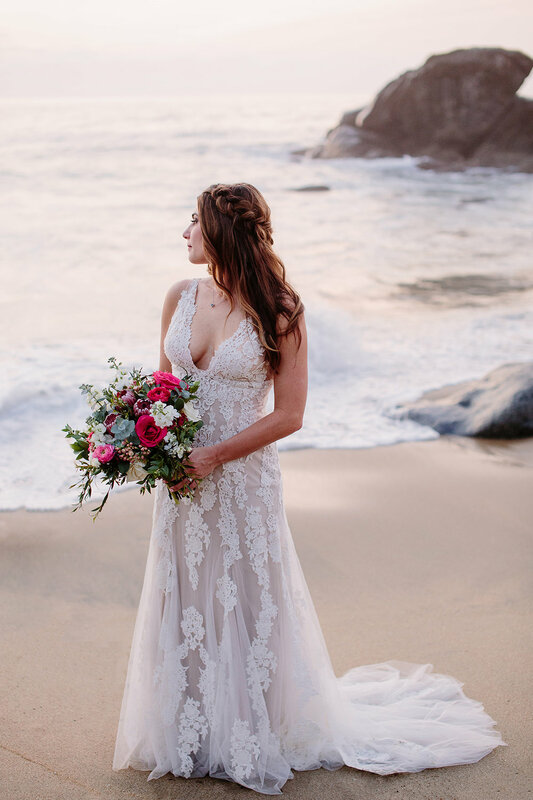 Caroline, thanks so much for putting your faith in me to create the perfect look for you, you were a dream to work with and I felt privileged to be a part of your day, it was so relaxed and full of warmth and love from everyone around you. It's obvious you have a lot of people who care a great deal for you! 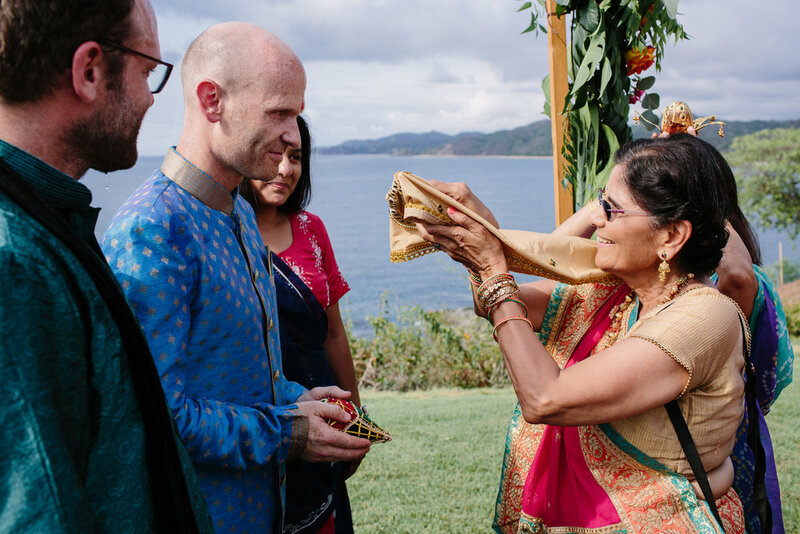 A big thank you for including me in your special moments...you made one heck of a gorgeous bride. I'm still losing it over that dress! 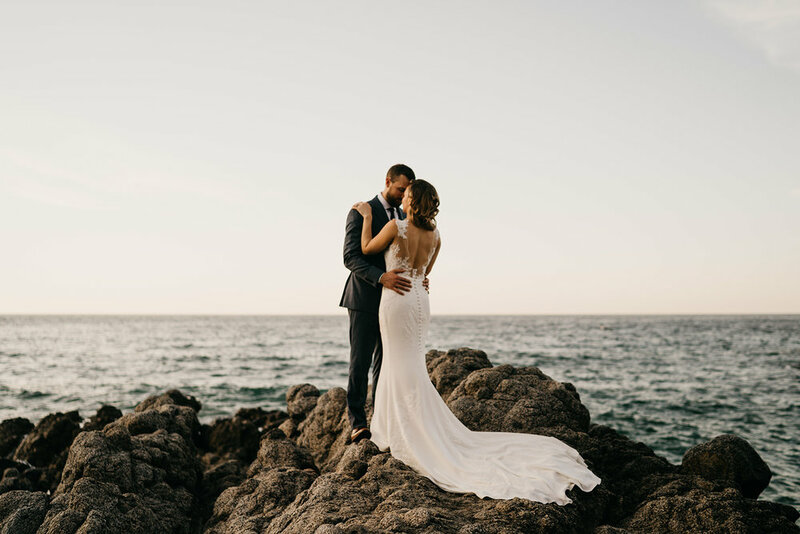 Every detail was perfection and the photos from the amazing Taryn Baxter are absolutely stunning! A huge thanks to Caroline for choosing me to design her look her for her big day, it was an absolute pleasure and I loved the simple and easy feel to her hair and makeup! A major shoutout to Taryn Baxter for knocking it out of the park again with these photos-all I can say is, WOW! I often say I am fortunate to do something I love so much for a career. While it is the product of a lot of hard work, and a little luck, it's still my dream job. Clients like Madelyn are part of the reason why. I can't believe she and Lawrence have been married for almost a year(yikes, I guess my 'i'm gonna blog more weddings' goal needs a bit of work), I loved working with her so much, she was an awesome client and even more awesome bride! 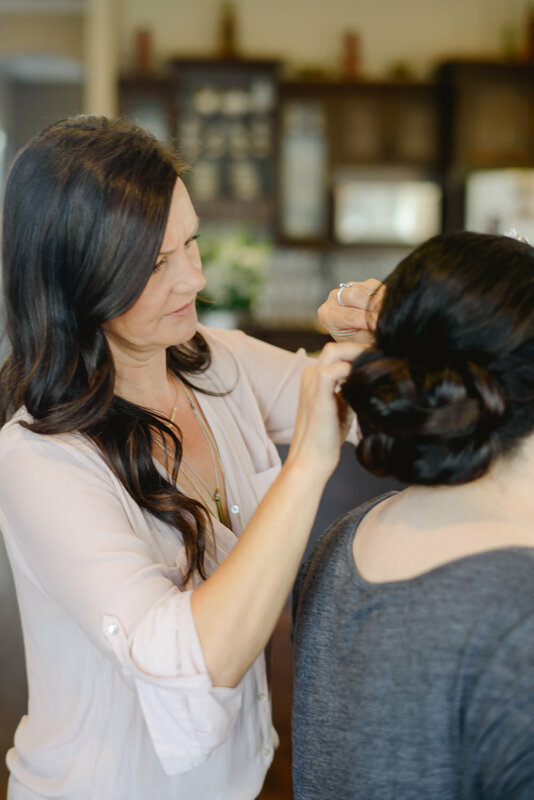 Anyone who has worked with me knows I love not only doing hair and makeup, but getting to know my clients and helping in any way I can to make them feel extra special on their big day. To me, it's not just professional, it's personal. I am part of someone's personal dream team, one they have carefully put together, and it's important I make every effort to be sure they have the best day possible! 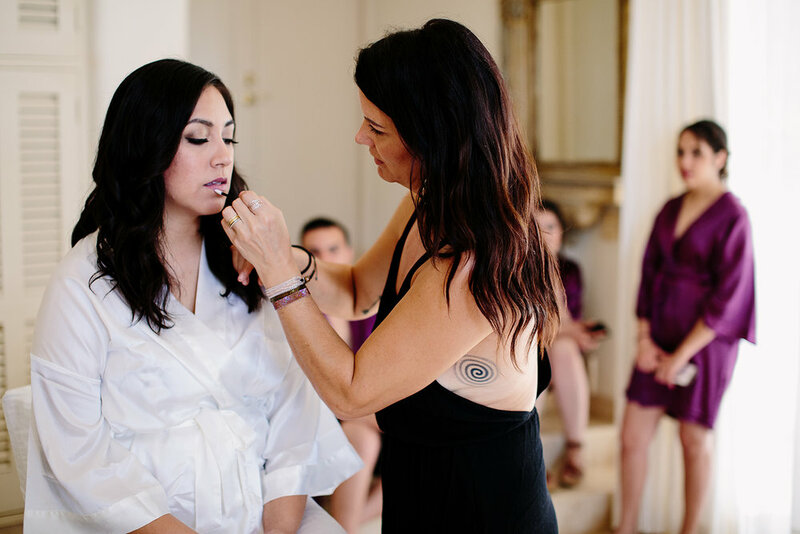 I had a blast doing her hair and makeup on the wedding day, and she made me feel like I was part of her amazing family and peer group. 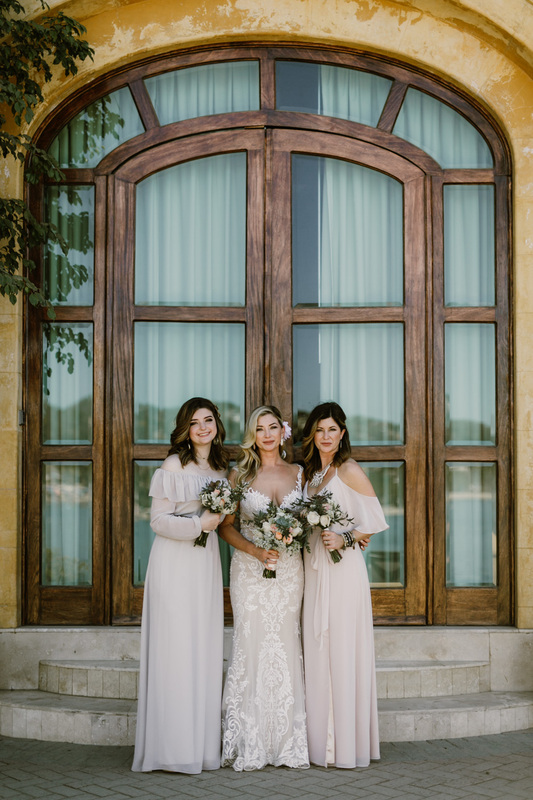 Needless to say, the day was filled with laughter and hijinx-and I was extremely grateful she chose me to doll her and her girls up on her big day! Not only is she a knockout, but she is hilarious, and so super sweet! Her energy is contagious, and it's easy to see why she was surrounded by so much love. Thanks so much again Madelyn and Lawrence, I cherish the moments I share with my clients and I love watching their lives grow!! Adios 2016, bring on the New Year! As this year comes to a close, I am reflecting, as always, on the year that has passed, everything that has unfolded in my life, and how extremely fortunate I am to spend such precious moments with so many amazing people! This year was no exception, and I want to give a big shout out to the lovely ladies who trusted me to enhance their 'fabulous' for all their occasions, and all the talented, fun and beautiful professionals that make my 'work' days bright. Each and every day. This year has been filled with amazing moments, achievements and a whole lot of fun! 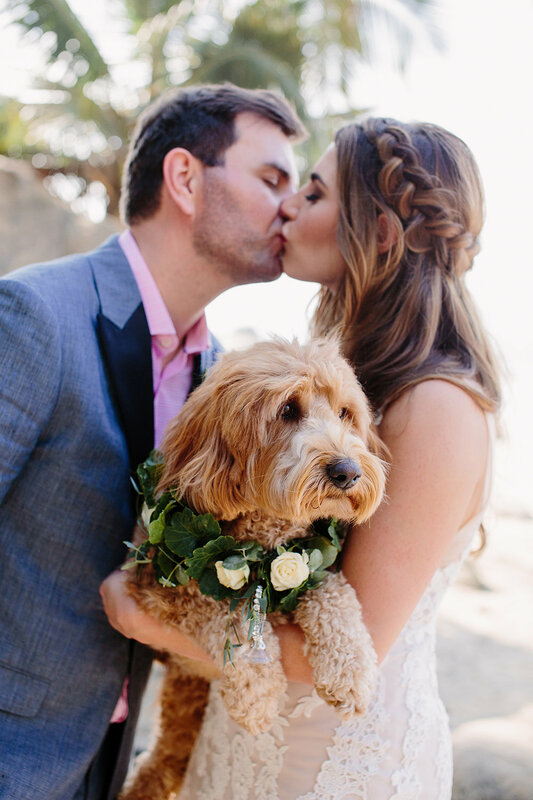 I'm so lucky to have had my work featured in The Knot, on Snippet and Ink, and Wedding Chicks. None of that would happen without the amazing women I worked with this year. It is always such an honor to get to know each one of my clients and their story, and share a real piece of ourselves with one another while we are at it. I know it's cliche, but I really don't feel like what I do is a job-I mean, really? Babes, fun, and creativity! Come on, it doesn't get much better than that! I'm getting the hang of this Canada-Mexico thing and I can't help but pinch myself every time I think about how amazing it is to expand my skills with such diversity. This year was and is challenging personally at times, but that's life. I'm making it through, and I'll be better for it. The bonus is I feel more accomplished for having come through those tough moments. I'm thankful to have a creative outlet that I can so thoroughly lose myself in to find the balance. 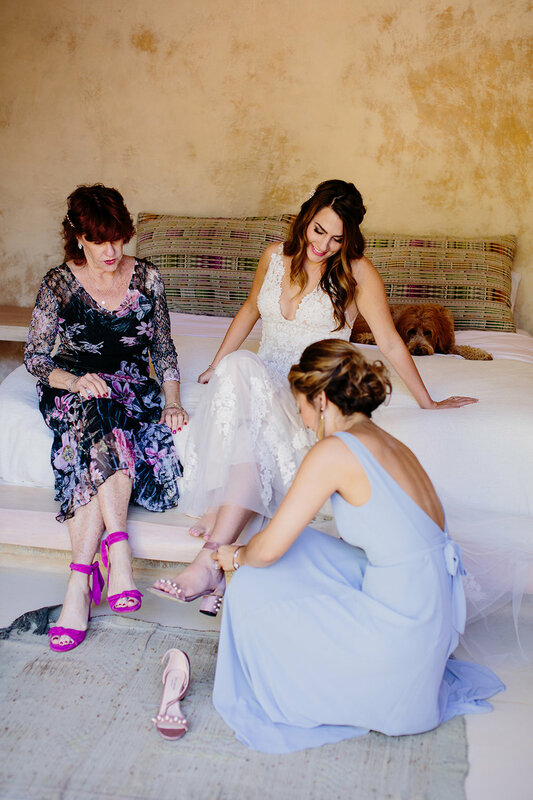 Looking back over the many images my clients and colleagues have sent me, I love reliving those moments we shared, I love to see the anticipation in each bride's eyes as she prepares for the biggest day of her life to this point, and am so excited to watch these beautiful women grow and build their lives. I feel connected to them more than they may know and I'm cheering each and every one of them on in all their life's adventures!. 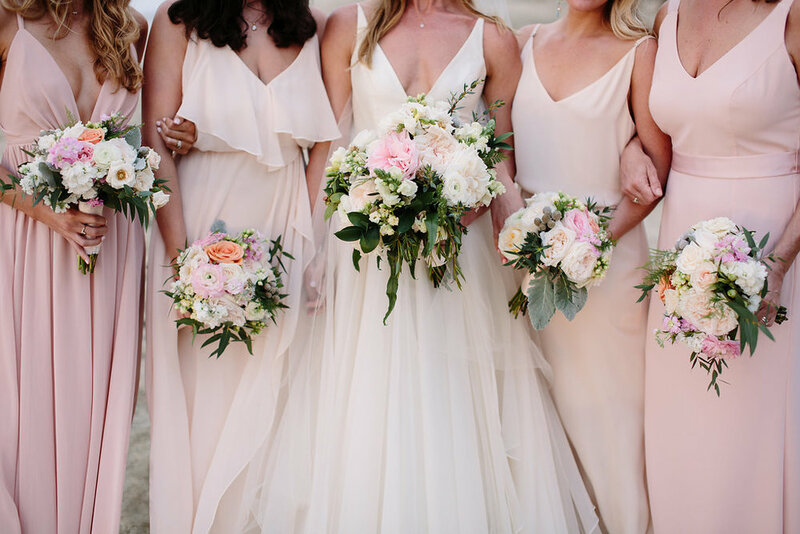 I realize how positively my life is enriched by crossing paths with not only these lovely ladies as well as their family and friends, but also with the strong and dynamic people in the wedding industry who work tirelessly to do their part to create these amazing celebrations. Thank you to each and every one of you for sharing your laughter(and sometimes your tears) and making me a better person in the process! 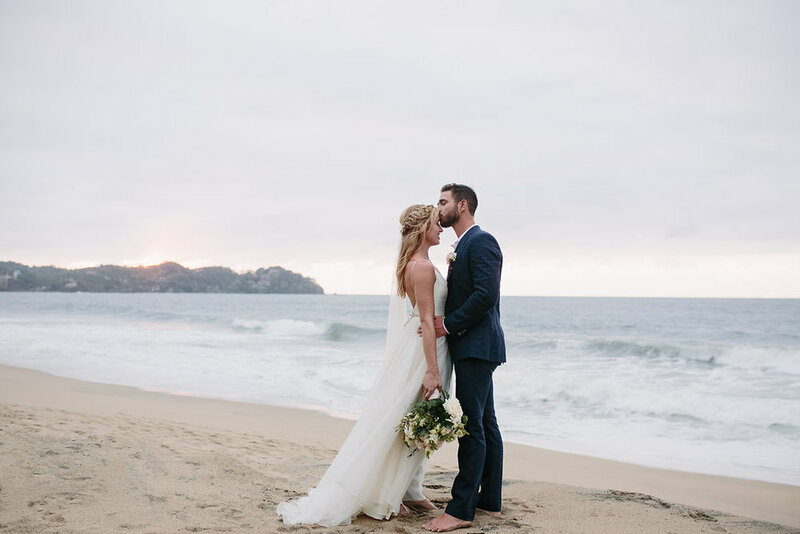 Looking forward to the upcoming year, I can't help but feel totally excited with the second half of wedding season in Sayulita promising to treat me as well as it always does with the most amazing people, a Dominican Republic wedding with an amazing couple and kickass photographers, then back to Canada for summer weddings, with three bride's this summer who were bridesmaids of clients past tying the knot! Hasta luego 2016! Now bring on 2017, I'm ready for you!